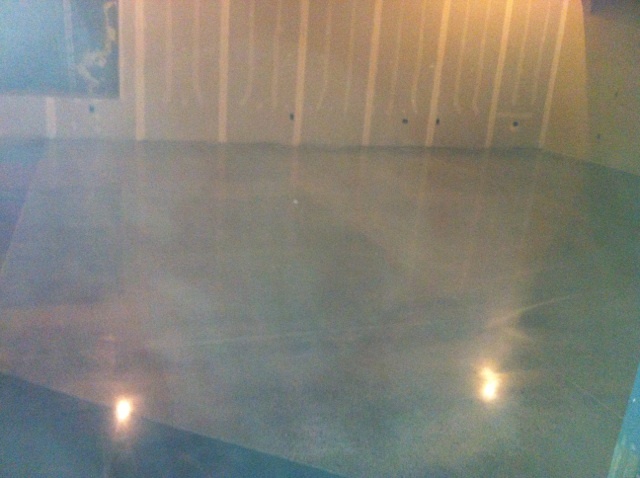 Concrete polishing is one of the hottest finishes available for concrete. It is durable, low maintenance and stunningly beautiful. Step 1: Grind the floors. This step removes any existing floors coatings, tile, adhesive, carpet or anything else that needs to be gone. We do this using diamond grinders with built in vacuums to control the dust. We grind the floors using gradually finer diamonds until it’s time for dye and polish. Step 2: Add concrete dyes and concrete densifiers. The dyes add color. The densifiers seal and harden the concrete so that it can be polished to a flawless shine. Without densifiers, the concrete would remain chalky and never hold a shine. Step 3: Start polishing. This is when we switch the diamonds to polishing heads. By using different heads, we can achieve different and custom sheens. Once the concrete is polished, the dye is sealed and the concrete is durable, UV proof and liquid proof. While this sounds easy, this is hard and labor intensive work that requires skill and experience working with concrete and other masonry substrates. These polishing services are available for all stone floors, like marble and terrazzo. Call GreenWave Solutions to learn more about this awesome and affordable way to may concrete decorative and durable! 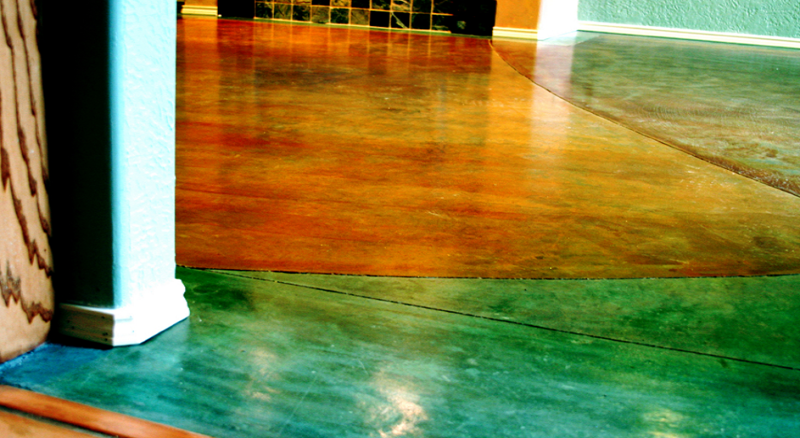 GreenWave Solutions performs concrete polishing services in Atlanta and the metro suburbs. This includes Alpharetta, Dunwoody, Chamblee, Doraville, Sandy Springs, Marietta, Roswell, Grant Park, Inman Park, Brookhaven and more!